The discovery of a mammoth frozen in the Siberian tundra is the backdrop for this case study, which explores theories for the extinction of the great Ice Age mammals and Homo neanderthalensis. Students research evidence for and against the different hypotheses and then discuss in class the merits of each. 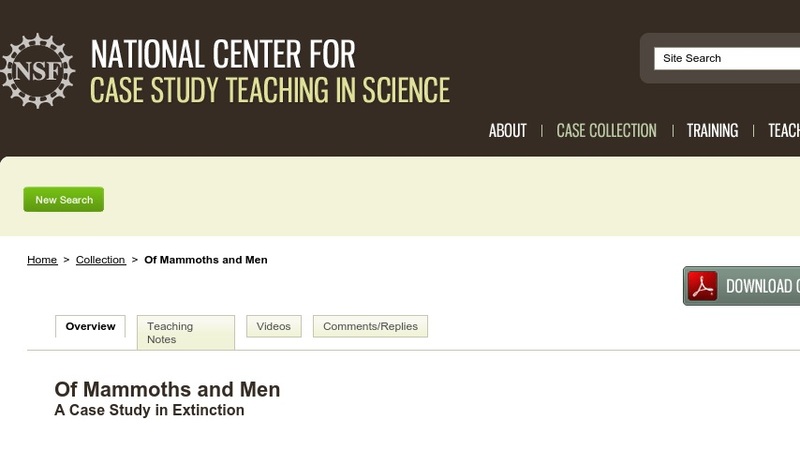 The case was designed for use in a freshman evolutionary biology course, where it was used as the last case in the term after studying the general principles of evolution, genetics, and biodiversity. Instructors of courses in anthropology and paleontology might also find it appropriate.